We provide exquisite Shaggy Rugs in the national and international market. Shaggy Rugs are specially preferred for their unique designs and utility. 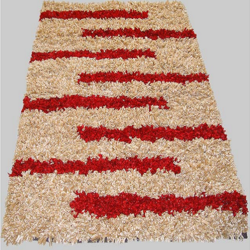 Our artisans make these Shaggy Rugs as per the latest trends of the market. 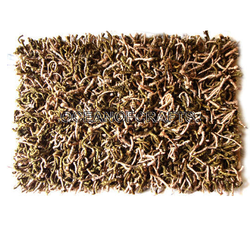 The Shaggy Rugs are attractive in design and are available in beautiful colors. We Export and Trader floor rugs you are affording yourself one of the easiest ways to revitalize, update, improve and beautify any room in your home. These floor rugs to turn a drab room into one full of color. We deal in best quality of Designer Shaggy Rug and we offer them to our clients. Their textured look, elaborate designs and advanced weaving technology makes them more durable and provide an aesthetic look and feel to the environment. These Shaggy Rugs can be used in drawing or dining room to add to the aesthetics of the decor. The carpets enhances the beauty of the place where applied and are highly popular all over the nation. Our range of Designer Shaggy Carpet is widely appreciated in the market. We are counted amidst the renowned Manufacturers and Exporters of Shaggy Rugs. Designed using cotton and polyester malai dori, our Shaggy Rugs give a fabulous look of a unique carpet. Our Shaggy Rugs are lovely and soft under your feet, the collection is modern in design and incorporates both natural and contemporary colors, and will contribute a modern touch to any room with their unique colors and texture.